Recent deep navy blue with shining yellow beards. It produces many ruffled flowers, each stem consistently yielding 8 to 10 buds. 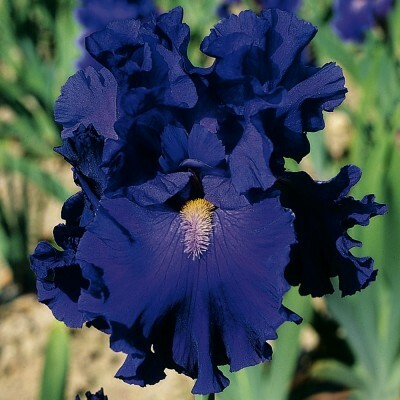 In addition, it can bloom again later in the summer or beginning of autumn. Standards are of a pink- toned-white splattered with magenta. 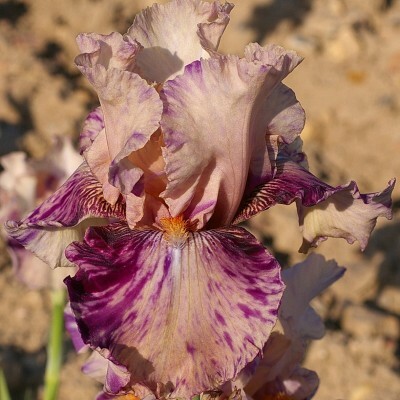 Falls are a light peachy pink with intense magenta veining and dotting. Tangerine beards. 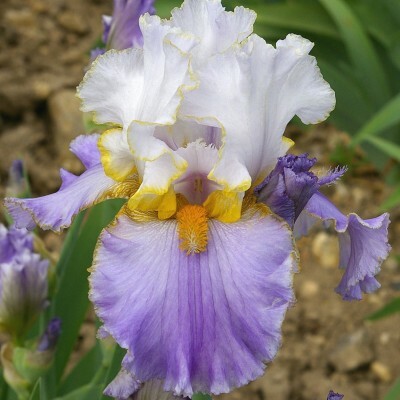 Heavily ruffled, icy white standards and light violet falls with darker veins. 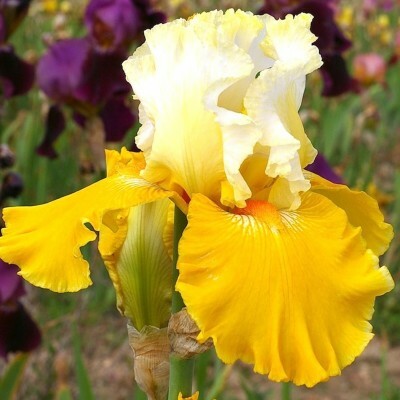 Gold beards, ending in very short violet horns, lighten the whole flower. Excellent growth, numerous buds and perfect stalks. 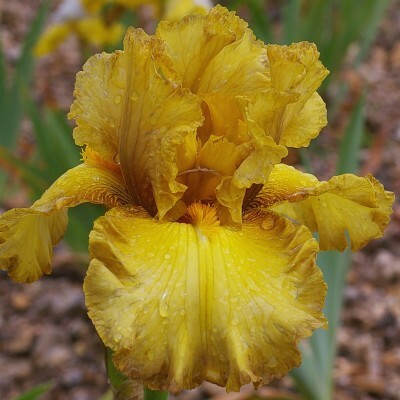 Yellow melting into light brown: amber-yellow standards infused with brown tones at the base, slightly less intense yellow falls with light-brown borders. Beards are golden orange. Superb low branching stalks with 10 to 11 buds on average.